Pretty Pink Rose: Australia; Atlantic, 756787924-4; 1990. 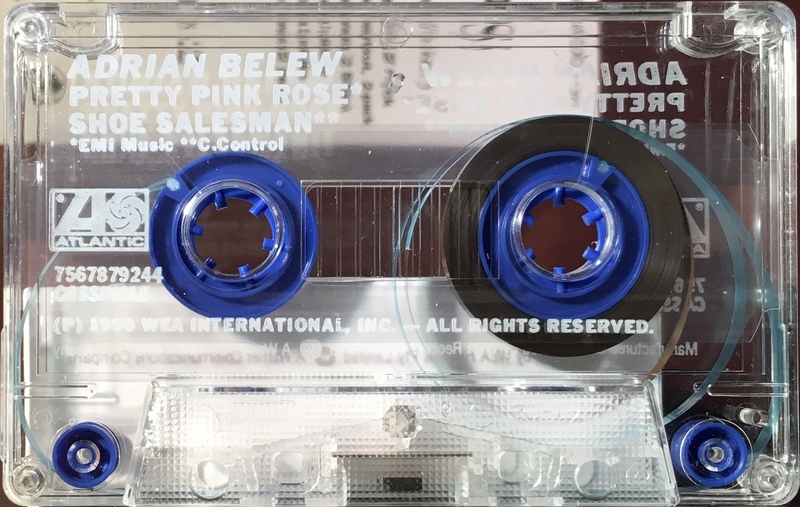 Adrian Belew single from ‘Young Lions’ album performed on the ‘Sound + Vision’ tour of 1990. David Bowie appears on the title track only. Cream coloured card slip-case with picture front rear panels. Track list on rear panel. ‘Manufactured by WEA Records Pty Ltd’. The rear cover has a barcode and there are ‘Atlantic’ and ‘CS’ logos on the spine. 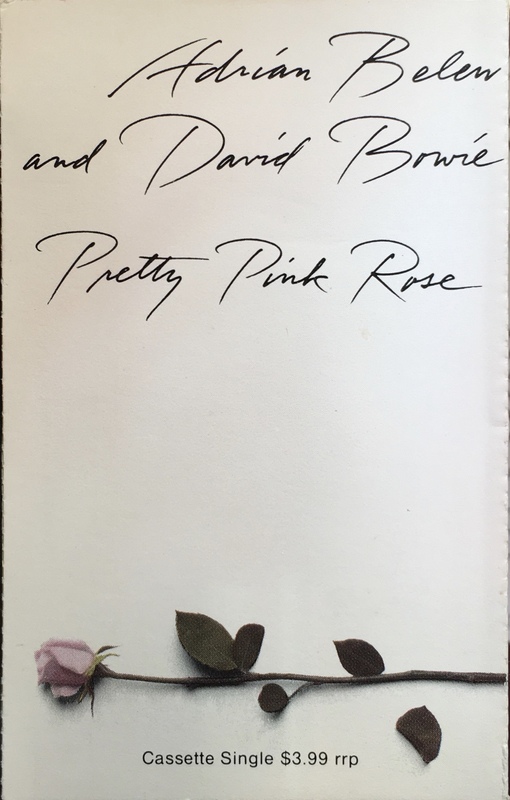 There are a number of differences to the USA cover: the price of $3.99 rrp is on the front cover; Pretty Pink Rose is credited to EMI Music; Shoe Salesman to Copyright Control; ‘Young Lions’ has a different catalogue number etc. White ink printed directly onto clear shell with blue capstans and pinch rollers and no slip sheet etc. Manufactured and distributed by WEA Records Pty Ltd’ and ‘Atlantic’ logo on shell. 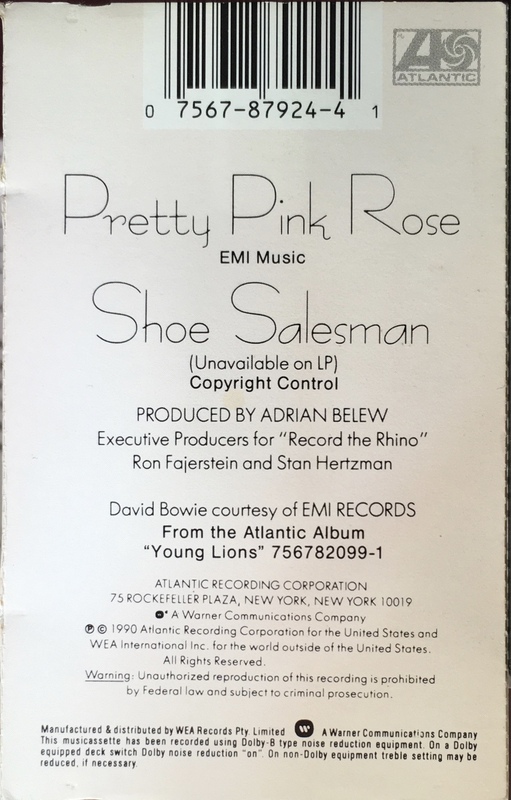 Side 1: Pretty Pink Rose; Shoe Salesman. 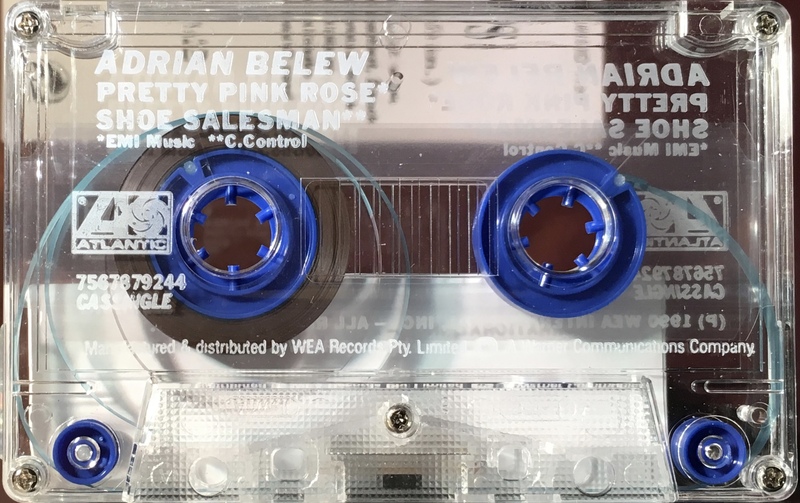 Side 2: Pretty Pink Rose; Shoe Salesman.